Partnered with world leaders in technology and. security to provide you with an easy to use, fully. parts, accessories, etc. for this Manufacturer Part Number. has been received. NH-D14 CPU cooler and works like new. Used for like a month and I cleared out the remaining dust. 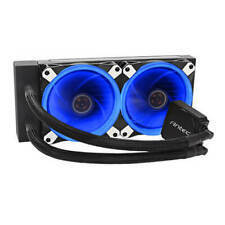 This cooler is very nice, one of the best air coolers out there, this will last you a very long time. California Law. eWiz is your best friend! The manufacturer seals on the item must still be intact. Back To Top. Cathode ray tube containing devices (CRT devices). Mfr Part Number: SNK-P0049A4. Send the Product to us. LGA1150 LGA1151 LGA 1155 LGA 1156. Does not include rear/opposite side of board mounting brackets or screws. 90.0 x 90.0 x 26.5 mm. 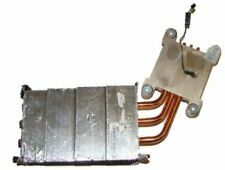 D382M Dell PowerEdge T310 LGA 1156/Socket H CPU Cooling Heatsink | Fully Tested. Part NumberD382M. ConditionLike New. Product Specifications. Genuine heatsink, never used with original box. does not include the cpu. Type Desktop Heatsink. 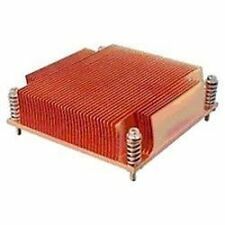 Heatsink is visually inspected for bent fins or defects. Test unit is powered on to see if fan is running and quiet if applicable. Tested for key functions, R2/Ready for Resale. 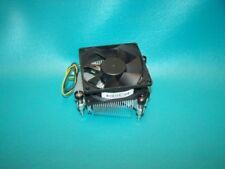 Dynatron K618 Socket 1156 / 1155 Passive 2U CPU Cooler. Passive Heat Sink for 2U Server. Solution: 2U & Up Server. CPU Socket: 1155/1156. QTY 2 x Kaby Lake heat sink for i3 i5 i7 Socket 1150 1155 1156. This is considered a used item but the fan and heat sink look almost new. We are unable to file any claims after this date. Why Buy From Us?. Note: K129 is designed for server motherboards. CPU Socket: 1156 / 1155. Solution: 1U Server. CPU Support. 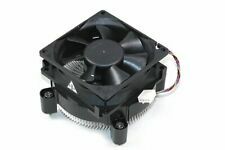 DYNATRON K650 2U SERVER FAN HEATSINK HEAT SINK. LGA 1151, LGA 1155, LGA 1156. 60 x 60 x 25mm fan with PWM function, Copper Base & Aluminum Fins with Heatpipes embedded for 2U&Up server solution. Application: 2U & Up. The heat sink has been fully tested and validated by Supermicro to ensure the best quality and cooling performance. SUPPORTED CPU SOCKETFCLGA1150, FCLGA1151, FCLGA1155. SUPPORTED CPU TDPUp to 95 Watts. New fan cooler and heatsink never used. For an LGA 1156 socket. Six 6mm C-Type nickel plated heat-pipes with slim aluminum stacked fins. Direct airflow to CPU. Improve heat distribution on the new aluminum fins. 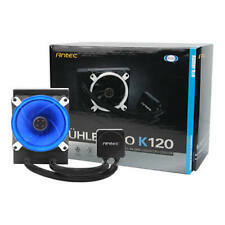 Compatible with the PH- F140HP Series. Phanteks' patented P.A.T.S technology. 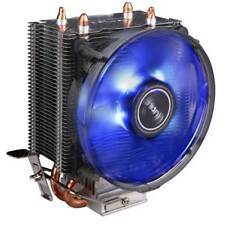 Dynatron Y506 2U & Up Server CPU Cooler for Skylake LGA 1151, Haswell LGA1150 and LGA1155/1156 up to TDP 95 Watts, Copper Base with Aluminum Stacked Fin with Heat Pipes. CPU Socket: Skylake LGA 1151, Haswell LGA1150 and LGA1155/1156 up to TDP 95 Watts. 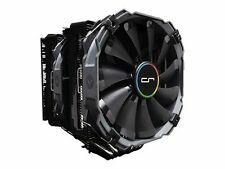 The CRYORIG R1 Ultimate is the accumulation of years of research and design. Featuring two XF140 PWM fans, and with the upgradability to go with three fans. Jet Fin Acceleration System squeezes airflow and increases exhaust air speed. Phanteks Low-Profile Heatsink 120mm PH-TC12LS. G081 2017113RC. Broken Cell Phones. Broken Apple iPhones. Broken Blackberry Cell Phones. Device is NEW IN OPENED BOX. Device is in 100% WORKING condition. Type Desktop Heatsink. 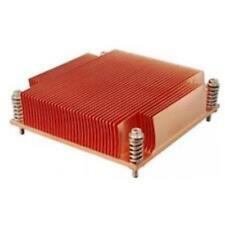 Heatsink is visually inspected for bent fins or defects. Test unit is powered on to see if fan is running and quiet if applicable. If possible, include photos or video to assist in understanding the problem. Xeon Processor 3400 Series. Core i7 Processors, I7-870 & I7-860. Heat Sink Material: Aluminum with Skiving Fins. 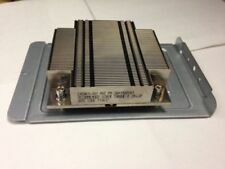 Heat Sink Weight: 248 g/0.55 lb. 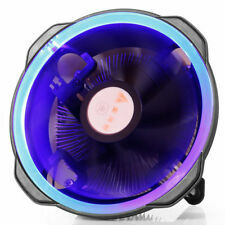 Fan Speed: 800-2800 R.P.M (PWM). Power Consumption: 3.12 W Max. Rated Current: 0.26 A. Safety Current: 0.6A. Connector: 4 Pin. Bearing type: Long Life Sleeve. Noise Level: 17-35 dBA. Heatsink is visually inspected for bent fins or defects. Test unit is powered on to see if fan is running and quiet if applicable. Tested for key functions, R2/Ready for Resale. Testing Procedure. INTERNATIONAL ORDERS. Heatsink w/o fans, RoHS:Y. Only one heatsink included. Product Weight: 2.0 lb. Kindly Check through Pictures to Verify. Item is refurbished and was pulled out of a working system. Trending at $9.15eBay determines this price through a machine learned model of the product's sale prices within the last 90 days. Material: Aluminum Heatsink. Compatible Processor Socket: Socket H2 LGA-1155. CPU Socket: 1156. Solution: 2U&Up Server. Used for a few days, selling it since I don't need it. Comes with with Pentium sticker and box. Socket Type : LGA1156. Application : 1U UP Server. This Heatsink only fit Supermicro own's MB, barebone, and Chassis. CPU Socket Skylake LGA 1151, Haswell LGA1150 and LGA1155/1156 up to TDP 95 Watts. Solution 2U&Up Server. Lead Wire Pin Out -. They are compatible with LGA1150 / LGA1155. Supermicro 1U Passive CPU Heat Sink Socket LGA1150/1155 (SNK-P0046P). 1U Passive CPU Heat Sink. Supermicro Certified. This is a lot of 6 xSNK-P0046P so you will get 6 when you buy 1 lot. CPU Socket 1156. Solution 1U Server. RoHS Compliance. Thermal Grease Pre-Printed with GE-Toshiba TIG830SP. Cooling Performance VS. Airflow (Wind Tunnel Simulation). AMD AM4 / AM3 / AM3 / AM2 / AM2 / FM2 / FM2 / FM1. Cooling Type Water Cooling. Water Pressure 1m±0.2m. Connector SATA power. Material PTFE. Airflow 73.31CFM. Part Number 43N9816. IBM Thinkcentre M90P Heatsink. For working parts/systems For defective parts/systems Our servers and parts are tested for full functions, R2/Ready for Reuse. 1900 Surveyor Boulevard. Part Number - T278R. DELL OPTIPLEX 980 HEATSINK & FAN.